We are excited to partner with Vast Entertainment for our next film An Invisible Truth. See what Vast is doing now! Future journalists discussed attitudes towards female lawyers and journalists with Sharon and American filmmaker Andrea Nevins. 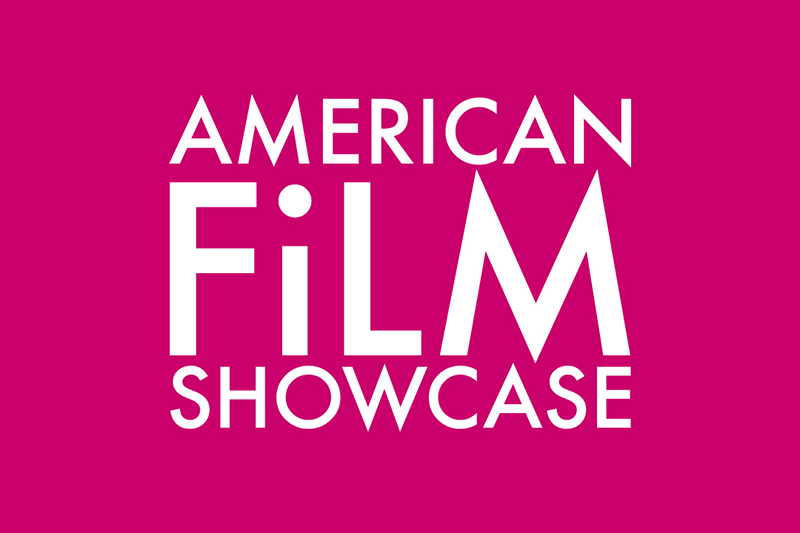 The U.S. directors presented their works at the American International Film Festival in Kiev and other cities in Ukraine. The discussion with journalism students about gender equality and how it affects women's careers took place at the Institute of Journalism Taras Shevchenko National University of Kyiv. Have Women Lawyers’ Expectations Changed in the Past 50 Years? This was one of the most poignant questions asked at a recent viewing of “Balancing the Scales" in Las Vegas. Sharon was selected by the American Film Showcase and the U.S. State Department to screen her award-winning film "Balancing the Scales" to audiences around the world, and to give presentations about gender equality and filmmaking to filmmakers, lawyers, journalists and students. Her first stop was in Kiev and other cities in Ukraine, screening at the American International Film Festival, where she was introduced to the audience at the Festival premiere by the US Ambassador to Ukraine. Sharon told the audience, "We are thrilled to take part in this discussion and hear voices from around the world"! In honor of International Women’s Day, Sharon gave an hour-long presentation at Foley & Lardner about the challenges faced by women in the legal profession, as well as how firms and corporations are moving the needle in this area. The audiences asked really great questions including the how-to of practical steps that firms can take to reduce the attrition rate for women and minority lawyers. In addition to the presentation, every Foley & Lardner lawyer at the firm’s 22 offices worldwide was given the opportunity to view the full documentary. In honor of International Women’s Day, Finnegan, Henderson, Farabow, Garrett & Dunner, along with the Association of Corporate Counsel hosted a screening of Balancing the Scales. The turnout was great and the after-screening questions were outstanding. This film explores the history of women lawyers in the US, why their attempts to break the glass ceiling have failed, and what we can do to change the cultural attitudes which prevent women from balancing power at the top. In this video filmmaker Sharon Rowen shares why “Balancing the Scales” was a labor of love and a call to arms. Creating Balancing the Scales combined 35 years of experience as a trial lawyer and 20 years of interviewing women lawyers from all walks of life. Interviewees include a US Supreme Court justice, civil rights activists, the first women who made it to the top, and young associates who do not yet understand that making partner has odds not much better than winning the lottery. My belief in the law as a tool for social change began when I passed the bar in 1979, and my passion for gender equality started shortly thereafter when a judge ruled against me solely because he didn’t believe that women should practice law. I have committed my legal career to social justice and to the belief that we all should use our time to further human rights in whatever ways we can. I hope this film will ignite a national conversation about topics like breaking the glass ceiling, why our society does not think of women as leaders, and the impossible choices men and women are forced to make between their career and their caregiving responsibilities. Vast Entertainment is a dynamic production & development company with the unique focus of fostering book-to-screen adaptations, as well as creating and developing a “vast” array of TV, film and new media entertainment. The company has relationships and projects with some of the biggest companies in the entertainment industry including Disney, NBC, ABC, Universal, Showtime, CBS Films, Lionsgate, Lifetime and many more. Sharon Rowen is a nationally recognized keynote speaker who is dynamic in her approach to bringing clarity to the challenge of gender equality in the legal profession. From Harvard University to the Bill and Melinda Gates foundation, Sharon has delivered the truth about the story of female lawyers in America with humor, transparency, and passion.